Russian government hackers have for at least two years attempted cyberattacks on the U.S. power grid, the Department of Homeland Security (DHS) said. The attacks, beginning in March 2016 and possibly earlier, targeted multiple U.S. critical infrastructure sectors, including energy, nuclear, commercial facilities, water, aviation and manufacturing, according to a U.S. security alert published on March 15. Russia in the past has denied it has tried to hack into other countries’ infrastructure. The Trump administration report cited a widely circulated investigation from Symantec released in October 2017 that linked the hacking group Dragonfly, suspected to be Russian, to a series of attacks on energy systems in the U.S. and Europe. Geostrategy-Direct.com reported in October 2017 that DHS and the FBI had issued a rare public alert to operators of critical infrastructure, saying that some hacking attempts they had been monitoring in the previous five months had been partially successful. “Threat actors have targeted government entities and the energy, water, aviation, nuclear and critical manufacturing sectors, and, in some cases, have leveraged their capabilities to compromise victims’ networks,” the alert said. 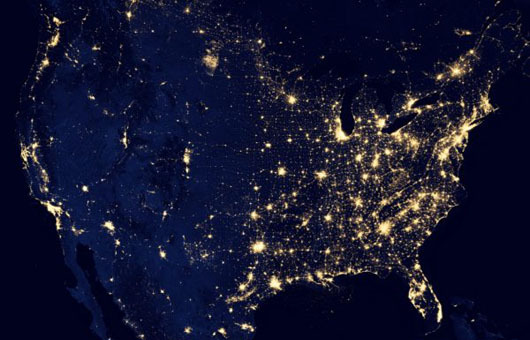 The U.S. electrical grid is considered particularly vulnerable to cyberattacks from Russia and China and will remain so for at least 10 years, a Pentagon report by the Defense Science Board warned. A former senior DHS official said that Russia’s targeting of infrastructure networks dropped off after the October alert, which detailed technical forensics about the hacking attempts but did not name Russia. Kremlin-linked hackers were widely blamed for two attacks on the Ukrainian energy grid in 2015 and 2016 that caused temporary blackouts for hundreds of thousands of customers and were considered first-of-their-kind assaults, Reuters reported.